Your smartphone contains a massive amount of information - photos, contacts, access to online accounts, and much more. Even though Android itself is a fairly secure platform, some data about your phone's settings and usage is sent to Google's servers. If you want to limit data collection and make your phone more secure, here are some tips you can try. You probably already know about the Android Device Manager, which allows users to easily track down a missing Android device. 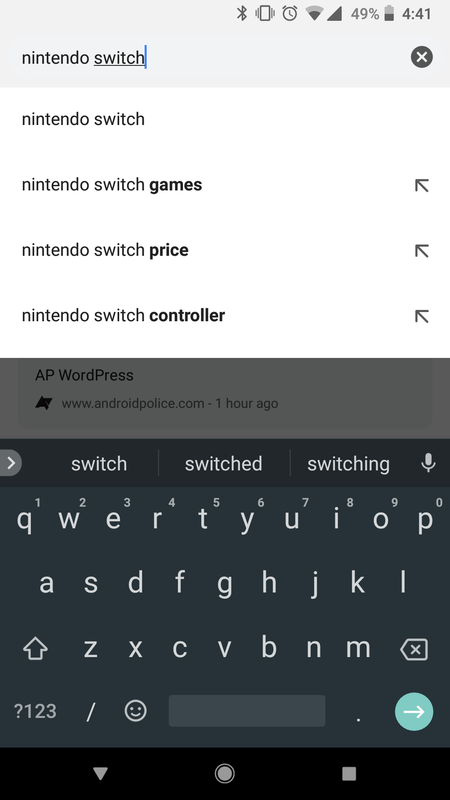 You can even locate phones and tablets by typing "find my device" in Google Search or by asking your Google Home. If your device gets stolen and you want to ensure none of your data is at risk, you can even trigger a remote wipe. 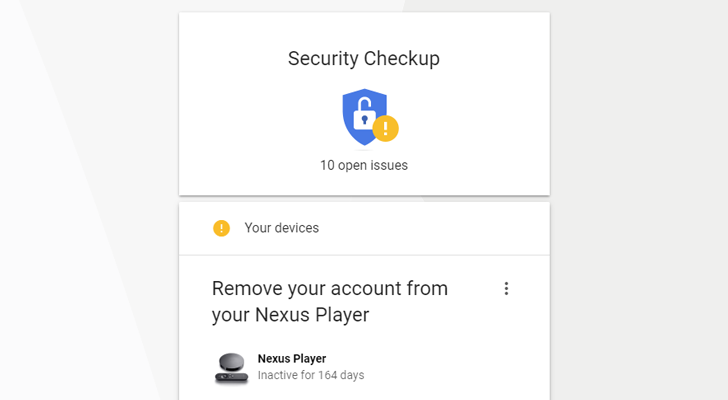 Google has a great Security Checkup tool that can walk you through making your Google account more secure. This includes enabling two-factor authentication, removing old Android devices you don't use anymore, and so on. If you have multiple Google accounts, it's a good idea to run through the Security Checkup on each one. Just tap the user icon at the top right and select another account (or tap 'Add Account' if the one you want isn't visible). This turns off future backups, but it doesn't delete existing backups. You have to do that from Google Drive. This is probably obvious, but it's worth mentioning anyways. Biometric authentication methods like fingerprints and retinas are designed for convenience, not security. If you want to keep the data on your phone as safe as possible, you need to set a lock that only you know. From the security screen, you can also choose to hide notifications (or just the contents of notifications) from your lock screen. By default, Google stores a massive amount of data about you - what apps you open, the sites you visit in Chrome, the YouTube videos you watch, and so on. 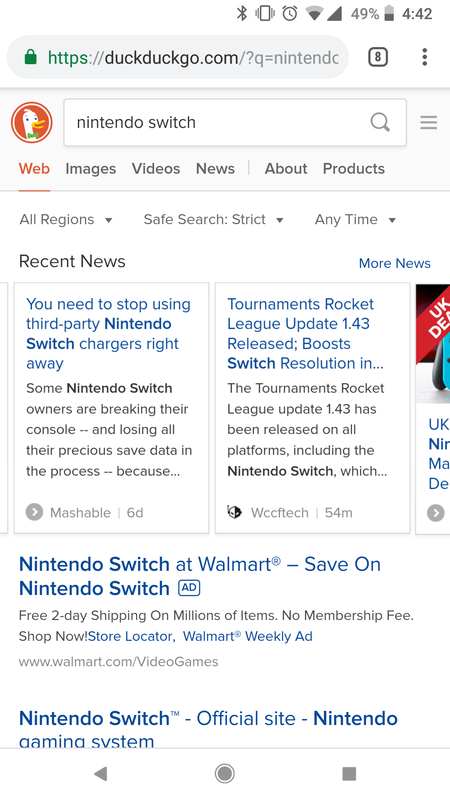 None of this information is sent to third-parties, but if you don't want it being collected in the first place, you can easily disable activity data. Just go to this page and turn all the categories to off. Keep in mind that doing this will limit certain features; for example, disabling Voice & Audio Activity will turn off Google Assistant. 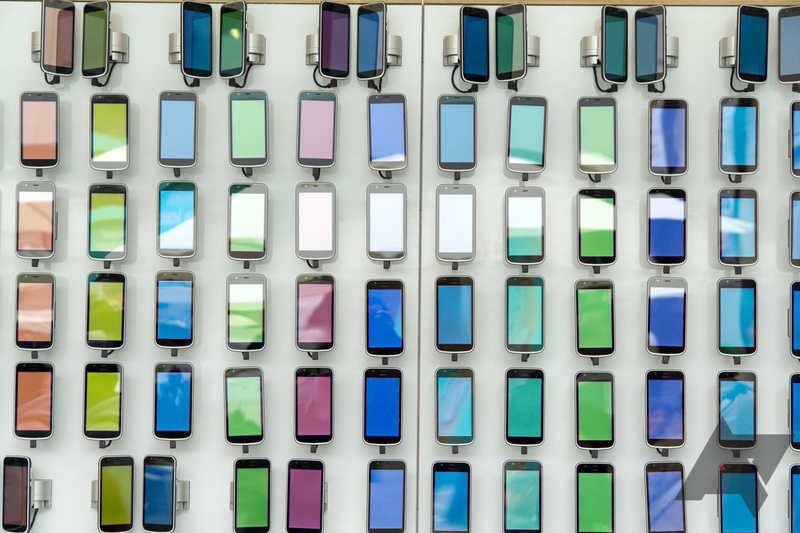 Almost every Android device comes with Google Chrome as the default browser. Even though Chrome itself is very secure, Google does collect data about your browser usage to improve the app and target advertising. 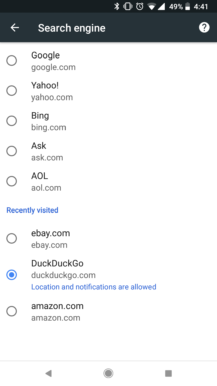 This post already covered how to disable tracking data, but if you want Google to be completely oblivious to your web usage, you can easily change your browser. Some popular alternative browsers for Android include Microsoft Edge, Samsung Internet, and Opera Mobile. 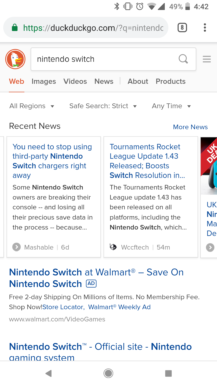 If privacy is your main concern, Firefox and Firefox Focus are the best options. 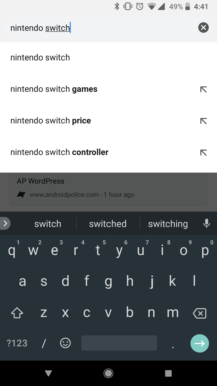 You can set any one of these as the default browser on Android, so links in other apps will open in your chosen app and not Chrome. If you don't want to change browsers, switching your search engine is another option to improve privacy. 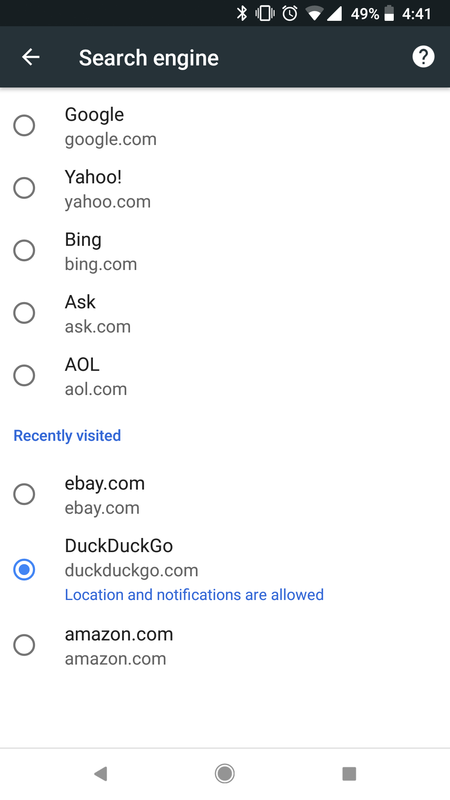 DuckDuckGo is one engine that doesn't track users. Most browsers for Android allow you to change your default search engine, here are instructions for Chrome and Firefox.